How to Fix Blog Post URLs ending with #gsc.tab=0? Are you currently facing problems with your blog post URLs, and constantly notice the '#gsc.tab=0' search parameter appended at the end of those URLs? Chances are that this is caused by an instance of a custom Google Search Engine on your website. Many bloggers and webmasters prefer to provide search functionality to their users within their sites. More often than not, if you see a search bar on a website that is content-based, and not a classified, eCommerce, catalogue, travel, or job listing website, then that search would be powered by Google - that's how popular Google is! Anyhow, in this post, we'll talk about removing the '#gsc.tab=0' error from your blog URLs. Custom Search Engines are instantiations of a complete search engine (such as Google Search, Bing, Yahoo! Search etc), but with some parameters changed, such as the search space stripped down, or filters applied, or other similar restrictions/conditions. Most search engines like Google provide APIs for others to freely use their core to perform searches. Webmasters often install a custom Google Search Engine to let their users search for content within their own site. 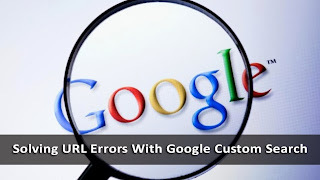 However, once you install a custom search engine, you might face the URL error described above. The fix for this error is pretty simple. It is mostly caused by installing a custom instance of Google Search Engine. 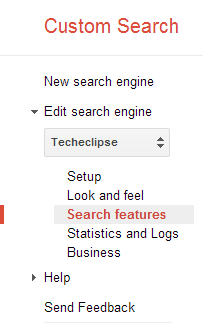 To fix it, you need to first locate your Custom Search Engine (CSE) Manager. Step 2: Select a CSE you have installed for the site facing the URL issue. Create a new CSE if you don't have any, and then check your site after installation to see if you're facing the problem. You're all done! Then #gsc.tab=0 string should no longer appear after each URL. Mohammad Plz. Check Your Email. I was placed services order. On 19 nov 2013.